As the people around the world today remember the fallen from the two world wars and the too many that have followed, did you know that animals have been used in war for centuries by man but only recently has there been recognition for their bravery and extraordinary commitment to duty in wartime. 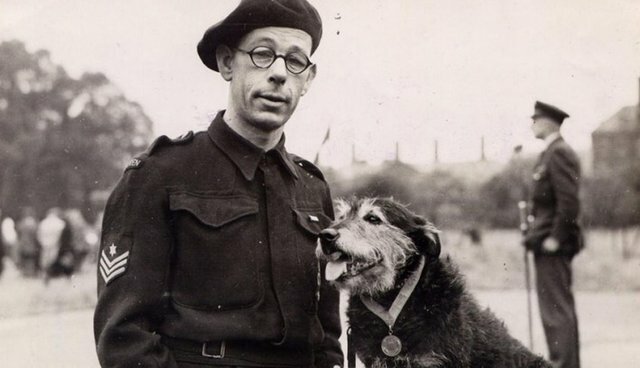 Since 1943, 60 animals have been awarded The Dickin Medal - the animal equivalent of the Victoria Cross. pigeons, dogs, horses and one cat - all of which through the course of their duty saved human life and provided vital companionship in times of terrible conflict. RAVC arms and explosive search dog Sadie, seen here with handler Lance Corporal Yardley was awarded the Dickin Medal in February 2007, for outstanding gallantry and devotion to duty. Just one cat received a Dickin Medal. 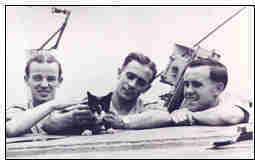 A Captain's Cat called Simon who was a rat-catcher on the HMS Amethyst. The ship came under attack on the Yangtze River in China, it was holed and the captain killed. The ship was then trapped on the river by the Chinese for 100 days before they managed to make it to freedom. In times of terrible uncertainty, Simon's recovery from his own injuries and presence on the ship gave the remaining crew companionship and a reason to keep going. Parachuting dogs? Surely not? 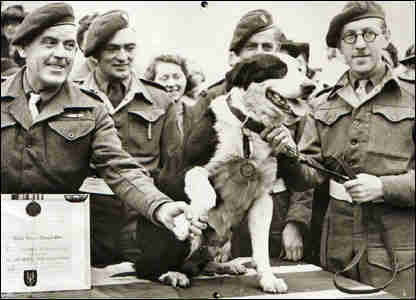 But yes, during the Second World War a working farm dog - a collie called Rob - was to play a vital role in being parachuted in behind enemy lines with his SAS unit where he was trained to watch over and protect the exhausted men as they slept inbetween carrying out their undercover operations. He made over 20 descents during his time with Units in North Africa and Italy. In addition to those dogs serving abroad with regiments, some dogs played a vital role at home. 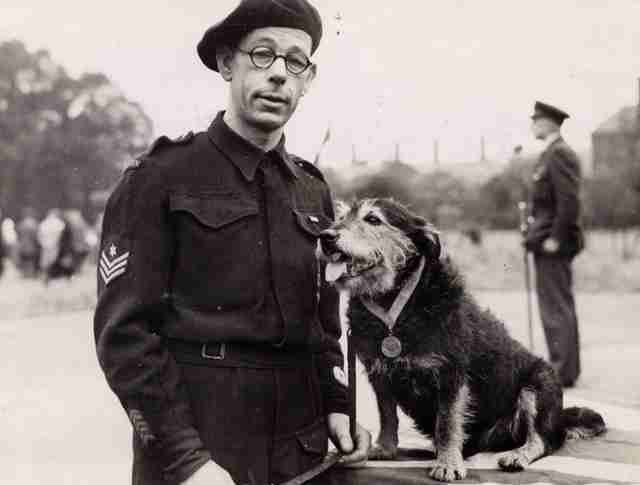 Beauty was a wire-haired terrier who led one of the PDSA's Animal Rescue Squads that operated during the Second World War. Beauty's role was to seach for pet animals that had become trapped with their owners in the rubble following bombing raids in London. She came to be thought of as the pioneer dog for this kind of work and in her wartime service rescued 63 animals. She received her Dickin Medal in 1945. Beyond the Second World War there was a break of almost 50 years before the next Dickin Medal was awarded. It went posthumously to a dog which had served with the Canadian Royal Rifles. The dog's story and achievements had lain unknown and unrecognised but to a few surviving men who had served with him in the Second World War.On Hong Kong island, a large Newfoundland dog called Gander was serving with and protecting the lives of Canadian infantrymen in 1941. His final act of bravery was to cost him his own life but saved the lives of the men he was with. It was nearly 60 years later that the PDSA found out about his actions and he was posthumously awarded a Dickin Medal in 2000.